On January 18 of last year, former Chair Janet Yellen described the Fed’s strategy for the policy instruments, saying that “When the economy is weak…we encourage spending and investing by pushing short-term interest rates lower….when the economy is threatening to push inflation too high down the road, we increase interest rates…” In a speech the following day, she compared this strategy with the Taylor rule and other rules, and she explained the differences. On February 11 of last year, former Vice-Chair Stanley Fischer gave a talk with a similar message, comparing actual policy with monetary rules and explaining how rules-based analyses feed into FOMC discussions to arrive at policy decisions. On July 7 of last year, the Fed added, for the first time ever, a whole new section on “Monetary Policy Rules and Their Role in the Federal Reserve’s Policy Process” in its Monetary Policy Report . It noted that “key principles of good monetary policy” are incorporated into policy rules. 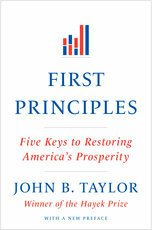 It listed specific policy rules, including the Taylor rule and variations on that rule. It showed that the interest rate was too low for too long in the 2003-2005 period according to the Taylor rule. It showed that, according to three of the rules, the current fed funds rate should be moving up. On February 23 of this year, the Fed, now with new Chair Jerome Powell, again included a whole section on policy rules in its latest Monetary Policy Report, elaborating on last July’s Report and thus indicating that the new approach will continue. On March 8 of this year, the Fed posted a new web site on the principles of sound monetary policy, Monetary Policy Principles and Practice, with a very helpful note on Policy Rules and How Policymakers Use Them. While the Fed has not yet endorsed the “Monetary Policy Transparency and Accountability Act,” these reforms represent substantial progress in that direction and should be acknowledged. Yesterday the U.S. Treasury released its official response to President Trump’s memorandum of last April asking for a review of whether an improved bankruptcy law “would be a superior method for the resolution of financial companies” compared to the regulator-run resolution process embodied in the Dodd-Frank Act. After a year of hearings, consultations, and study, Report to the President on Orderly Liquidation Authority and Bankruptcy Reform states “unequivocally” that bankruptcy should be the preferred method of resolution. The Report calls for a “more robust, effective, bankruptcy process for financial companies” along the lines of the “Chapter 14” proposal of the Hoover Institution Resolution Project, of which we are members, now written into legislation making its way through the House and Senate. Through careful analysis and judgment of which reform is likely to work politically, financially, and internationally, the Report provides a practical road map to get the legislation passed. 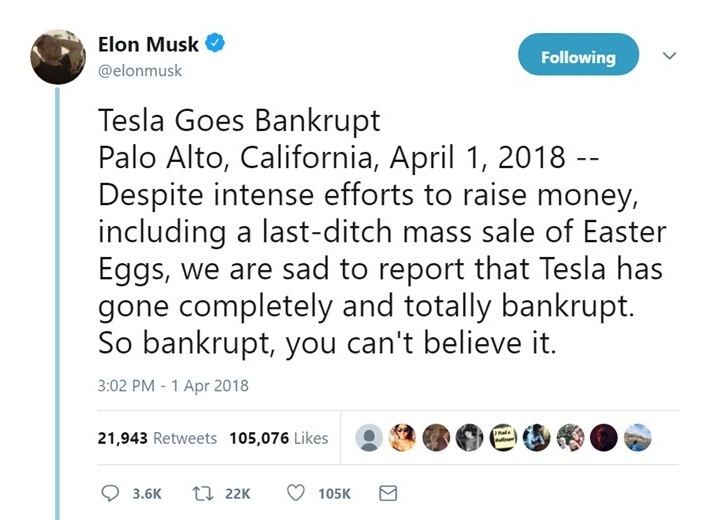 Chapter 14, so called because there is now no Chapter 14 in the bankruptcy code, would rely on the rule of law and strict priority rules of bankruptcy, but would operate faster than current law—over a weekend—leaving operating subsidiaries outside of bankruptcy entirely. After filing for Chapter 14, the parent company would transfer its operations and short-term debt to a newly created bridge company that is not in bankruptcy. The bridge company would be recapitalized and ready to continue operations, while the long-term unsecured debt and stock would be left behind in the old company. The old company would go through bankruptcy in a predictable, rules-based manner without harming the financial system or the economy. The Report concludes that the Orderly Liquidation Authority (OLA), as the current resolution process under the Dodd-Frank Act is known, “confers far too much unchecked administrative discretion, could be misused to bail out creditors, and runs the risk of weakening market discipline.” A particularly glaring flaw is the absence of clear priority rules: as receiver for the distressed financial company, the Federal Deposit Insurance Corporation is permitted to pick and choose which creditors are paid first. The Report urges the FDIC to commit to honoring the ordinary priority rules in OLA, to make it more rule-like and predictable. OLA also gives the FDIC access to vast amounts of funding from the U.S. Treasury, which critics worry could function like a bailout. The Report calls for much tighter constraints on the use of the funding. The loans should be secured by good collateral, and should require substantial interest payments, in keeping with the classic approach for providing liquidity to a distressed financial institution. For similar reasons, the Report takes aim at a provision that gives tax exempt status to any bridge institution that is formed for the purposes of an OLA resolution. There is no justification for this special treatment, and the Report rightly calls for its removal. This “reform rather than repeal” approach to OLA leaves in place international arrangements through which resolution authorities in different countries can coordinate the resolution of large international financial firms. If OLA were repealed, there would be no parallel authority in the United States. Moreover, with Chapter 14 in place, the resolution planning process required by other provisions of the Dodd-Frank Act would work better, because large institutions could credibly outline how their distress would be handled in bankruptcy. Some of the resolution plans submitted by the large financial firms have been rejected by Fed and FDIC. The Report adopts a middle ground with respect to regulators’ role in the Chapter 14 process. Unlike OLA, which gives regulators’ complete control, the managers of the troubled company would be the ones to file the Chapter 14 case. Although our Hoover group recommended that either the company or regulators be permitted to file, the Report worries that regulators and a troubled financial company might engage in a game of chicken if both had the power to file. The Report would not exclude regulators from the filing decision, however. It would encourage judicial deference to a Federal Reserve determination that the Chapter 14 transaction should be approved. The Report, like the versions of Chapter 14 currently pending in Congress, would not provide any government funding of the resolution process. Although we have advocated access to limited governmental financing, the Report rightly recognizes that Chapter 14 would require much less new funding than a more complex and time consuming resolution framework. Because the new bridge company would be fully solvent, having left most of its debt behind, private lenders are likely to be willing to provide any necessary new funding. If Chapter 14 were added to the bankruptcy code, it would become the strategy of choice for resolving the financial distress of large financial institutions. OLA would still be available as an alternative, but it would rarely if ever be needed. Bankruptcy reform is an essential element of an economic growth program. The reform makes failure feasible under clear rules without disruptive spillovers. It would help prevent bailouts, diminish excessive risk-taking, remove uncertainty associated with an ad hoc bailout process, and reduce the likelihood and severity of financial crises. Research by our colleague Emily Kapur shows the new law might have prevented the contagion associated with the failure of Lehman Brothers in 2008. The Administration has laid out a clear path to ending too big to fail and making the financial system more resilient. Now is the time to move forward and get the job done. After a very successful launch last summer, Stanford’s Hoover Institution is again offering a one-week public policy boot camp this coming August 19-25. This “residential immersion program” is aimed at college students and recent graduates. It consists of lectures, workshops, informal discussions, and active collaboration with study groups outside of class. It covers the essentials of today’s national and international policy issues. It requires a 100% time commitment for the whole one-week program, but if last year is any indicator both faculty and students will find it to be rewarding and fun. As with last year the teachers in the program are faculty and fellows from the Hoover Institution, which includes scholars in economics, government, political science, and related fields. This summer the lineup includes economists Terry Anderson, Michael Boskin, John Cogan, Caroline Hoxby, Edward Lazear, Joshua Rauh, George Shultz, Amit Seru, and me, along with political science and national security experts Scott Atlas, David Brady, James Ellis, Stephen Haber, Daniel Heil, Michael McConnell, Kori Schake, Kiron Skinner, and Bill Whalen. Last year I talked about monetary policy and the Fed, and I will do the same this year, updated of course. Believe it or not, the program is free of charge to accepted participants, including lodging and meals. Attendees will be responsible for travel costs and incidentals. There is still time to apply but the application deadlines are fast approaching: February 1, 2018 for early bird applicants and March 1, 2018 for all applicants. So apply now and I hope we’ll see you next summer! This week marks the 20-year anniversary of a “notable conference” on monetary policy as Ed Nelson, who reminded me, puts it. 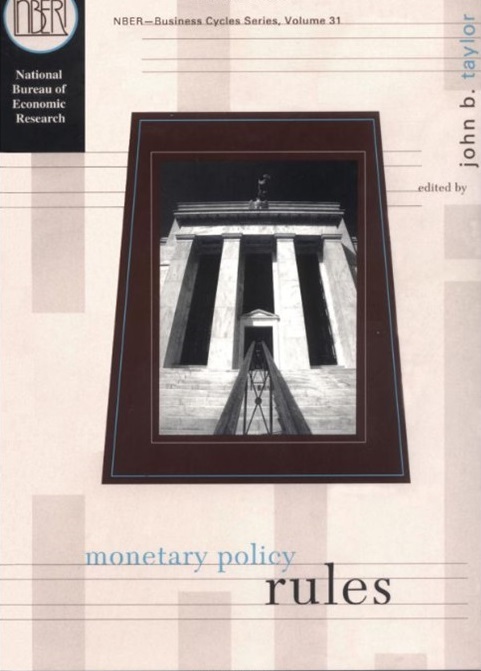 The conference took place at the Cheeca Lodge in the Florida Keys on January 15-17, 1998, and it resulted in the book Monetary Policy Rules published by the University of Chicago Press for the NBER. It was an unusual conference. 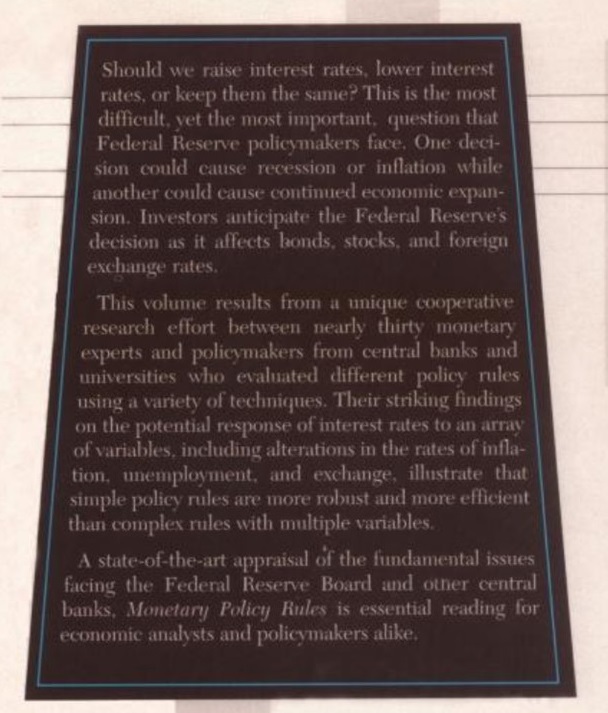 As stated on the back of the book jacket shown below, it was a “unique cooperative research effort between nearly thirty monetary experts and policymakers.” The purpose was to evaluate alternative monetary policies, all of which were described by policy rules for the interest rate. It was unique because the participants in the conference not only evaluated the performance of their own proposed policy rules with their own models, they also evaluated the performance of other participants’ proposed rules with their models. This put the focus on robustness and effectiveness in a way that had not been done before. The main finding of this effort surprised people at the time. It was that “simple policy rules are more robust and more efficient than complex rules with multiple variables,” a finding that has stood the test of time and many more studies of over the past two decades. It was a tough to establish uniformity in the evaluation method so that each rule was treated fairly. Thanks to the model data base of Volker Wieland and improvements in computer and information technology, it is much easier to do conduct this kind of robustness study now. Monika Piazzesi, a Stanford graduate student at the time, prepared a very useful summary of the discussion that took place at the conference. Soon afterwards the Fed began referring to the Taylor (1999) rule which had a higher coefficient on output than the so-called Taylor rule. (1999 was the year the book was published.). I complained because I had not proposed such a rule in the chapter in the book but simply compared it with other rules. Because of my complaint, Janet Yellen started calling that rule the balanced rule from then on, not that the name made much difference. For the policy rule that came to be called the Taylor rule, first presented in 1992, I used a 2% inflation target (π*). This was long before the official adoption of a 2% target by the Fed, the BOJ or the ECB. The central banks of New Zealand, Chile and Canada were moving toward inflation targeting about that time, but not with the single number of 2% as a target. John Murray presented the Canadian history at the conference. I chose 2% rather than zero back then because of the upward bias in measuring inflation, which was widely discussed at that time, and because of the zero bound problem for the interest rate. It was not an arbitrary choice. I also chose an equilibrium real interest rate (r*) of 2%. That was not arbitrary either with the real GDP growth rate trending a little over 2%. The actual rule for the interest rate (i) was i=π+.5y+.5(π-π*)+r* with π*=2 and r*=2. This meant that the equilibrium nominal rate was 4%. In equilibrium the output gap (y) equal zero and the inflation rate (π) equals π*. Regardless of whether or not the Fed changes its inflation target π* going forward, it is important that its monetary framework be based on policy rules. The good economic performance during the Great Moderation was due largely to policy becoming more consistent with a rules-based framework, and the devastation of the Great Recession was due in part to deviating from rules-based policy. It is also important for the new research on π* to be based on policy rules. 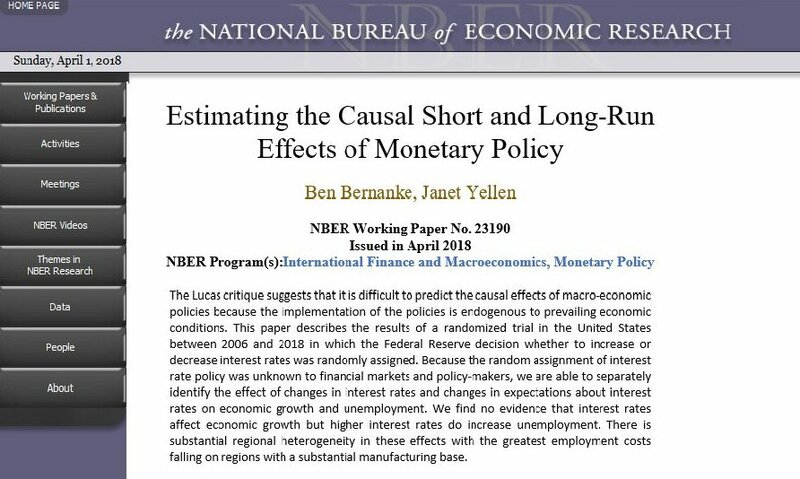 In fact, virtually all economic research on the matter has been conducted using policy rules, including the important recent work by Fed economists Michael Kiley and John Roberts for the Brookings Papers on Economic Activity—a paper which was widely cited at the conference. The whole new section on policy rules in the Fed’s recent Monetary Policy Report and speeches last year by Fed Chair Janet Yellen also use this approach. All the alternative proposals considered at this conference can and should be evaluated using policy rules, including price level targeting, nominal GDP targeting, and different inflation targets. If you want to evaluate a higher inflation target, you just stick in a higher value for π*. If you choose an inflation target of 4% with r* still 2%, then the average nominal rate will be 6%. If r* was 0% rather than 2%, an inflation target of 4% would mean an equilibrium nominal interest rate of 4%, exactly as in the original Taylor rule. 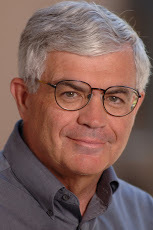 In each case one can evaluate performance of the economy over a range of models as in Volker Wieland’s model data base. Such policy rules or strategies would fit into the legislative language in recent bills in Congress, including the “Monetary Policy Transparency and Accountability Act,” which simply require the Fed to describe its policy strategy and compare it with policy rules of its own choosing. The rules would also help clarify the Fed’s actions to the markets and to policy makers in other countries. Another alternative is to move to a money growth regime. For example, in 1996 I noted that the interest rate rule needed “to be supplemented by money supply rules in cases of either extended deflation or hyperinflation.” Recently, Peter Ireland and Michael T. Belongia have suggested a return to money growth rules in the case of the ZLB. Other proposals for dealing with the zero bound have been made over the years. In 1999 David Reifschneider and John Williams proposed that the interest rate be kept extra low following an ZLB period. For example, the interest rate would be kept at zero until the absolute value of the cumulative sum of negative deviations of the actual interest rate from the ZLB equals what occurred during the period of the ZLB. Many at the conference thought that the ZLB is more of a problem now than in the past because estimates of r* have fallen. But those estimates are uncertain and may reverse soon. Volker Wieland and I demonstrated this uncertainty, especially in current circumstances, in considering the influential research of Thomas Laubach and John Williams. The low estimates of r* may be due to “fog” cause by unusually low policy interest rates and unconventional monetary policies at many central banks. Permanently changing the target inflation rate may not be the best response. There are also international considerations. As we all know the original 2% inflation target is becoming universal for central banks around the world, and there is also a clamoring for a more rules-based international monetary system. One reason for the clamoring is research showing the increased exchange rate and capital flow volatility of recent years has been due in part to a deviation from a rules-based system. Now is an opportune time to move in the direction of a rules-based international system by simply reporting on the policy strategy in each country. Changing the inflation target in these strategies unilaterally will make this more difficult. For all these reasons, I would be hesitant to change the inflation target introduced 25 years ago. But as research on policy rules at the Fed and elsewhere continues, I hope two related concerns are addressed. First, there is a danger in the way that the numerical inflation target has come to be used in practice. It seems that even if the actual inflation rate is only a bit below the 2% inflation target—say 1.5% or 1.63%—there is a tendency for people to call for the central bank to press the accelerator all the way to the floor. This is not good monetary policy; it is not consistent with any policy rule I know, and it could create excesses or even bubbles in financial markets. This problem could be remedied as the Fed continues to clarify its strategy. Second, the greater attention to a numerical inflation target may have reduced attention to other aspects of the policy rules, including the idea that we need a policy rule at all. In other words, trying to give more precision to π* may have led to less precision about other parameters, including the sizes of the responses. Recall that the Fed and other central banks moved toward rules-based policy well before they adopted formal numerical inflation targets. Most of the move to rules-based policy occurred during the period when Paul Volcker and Alan Greenspan simply said that inflation should be low enough that it did not interfere with decision- making. Again, I think this problem can be remedied as the Fed continues to clarify its strategy. The Great Recession began exactly one decade ago this month, as later determined by the NBER business cycle dating committee chaired by my colleague, Bob Hall. There is still a great debate about the causes of the Great Recession, its deepness, its length, and the Not-So-Great Recovery that followed. But there is no question that the economic growth rate over the past ten years has been dismal—only 1.4 percent per year on average. 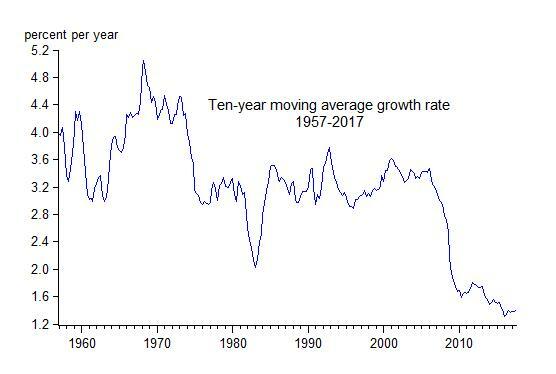 A chart of the ten-year moving average of growth rates tells the story. Let’s hope the new decade that begins tomorrow will be a happier new decade for economic growth in the United States. I still think the explanation in my 2009 and 2012 books Getting Off Track: How Government Actions and Interventions Caused, Prolonged, and Worsened the Financial Crisis and First Principles: Five Keys to Restoring Americas Prosperity are basically correct, and I am encouraged that there has been a turnaround recently in regulatory policy and tax policy. But more investigative research into real-time records of policy actions is essential to determine what went wrong during the past decade. A good example is the new book, forthcoming in 2018, The Fed and Lehman Brothers: Setting the Record Straight on a Financial Disaster, by Larry Ball which investigates the records and uncovers inconsistencies in the government’s story of its role in the panic of 2008. He shows that the Fed could have legally prevented the chaos surrounding the Lehman bankruptcy, but didn’t do so either because of political concerns or a botched implementation of its game plan. It is also essential to review and assimilate all the policy research that has been done in the past decade, both inside and outside of government institutions. 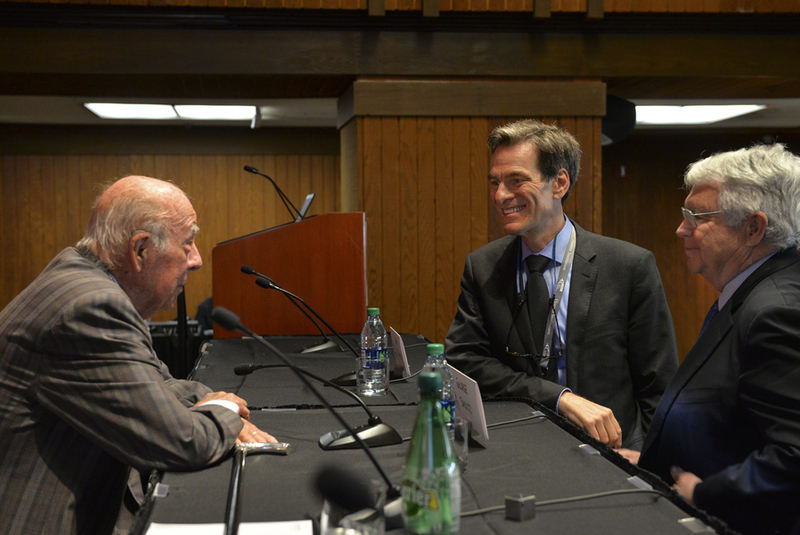 In this regard, also ten years ago this month we created an Economic Policy Working Group at the Hoover Institution with the express purpose of doing policy-related research on the crisis, focusing on the change in policy that many of us—including George Shultz, John Cogan, Darrell Duffie, Michael Boskin, Ken Scott—saw had begun a few years before. The group has grown and now includes many more economists, including John Cochrane and Josh Rauh who moved from the University of Chicago. The 160 policy meetings and conferences organized by this Working Group have been the source of many papers and books including the early research work on stimulus packages, quantitative easing, bankruptcy reform, international monetary reform, and, most recently, John Cogan’s The High Cost of Good Intentions. To aid in communication and assimilation, brief summaries of all the meetings were written and collected in real time and are available here on the Hoover website here. Some of the recent summaries by John Cochrane are very thoughtful essays on their own right.